Helicopter Eela official trailer out now! Home Garam News Helicopter Eela official trailer out now! 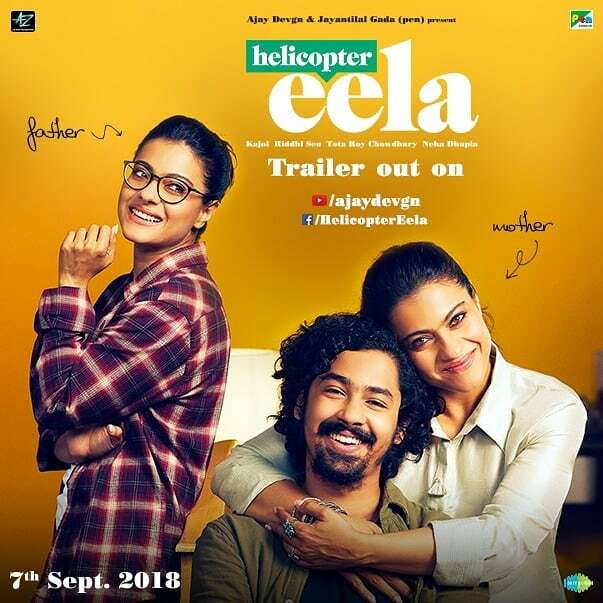 Official trailer of the much awaited flick Helicopter Eela has been released on August 5, 2018. The film has Kajol in the lead role as a single mother, who is also a successful singer. The trailer has shown Kajol as a mother of her teenage son played by Riddhi Sen and decided to complete her education and joins her son’s college. There are also a few glimpses of Eela’s past where she is seen as a successful singer with a loving husband and is having the best time with a loving family. The entire trailer is filled with mixed emotions as well as funny moments. Helicopter Eela will mark the return of Kajol to Bollywood after a gap of three years. The actress was last seen in the film Dilwale which also starred Shah Rukh Khan. Helicopter Eela is directed by Pradeep Sarkar and produced by Ajay Devgn, Dhaval Jayantilal Gada, Kumar Mangat Pathak, Reshmaa Kadakla, Vikrant Sharma, Kaushal Kantilal Gada and Neeraj Gala. Riddhi Sen will be seen playing Kajol’s on-screen son who has recently won the National Film Award for Best Actor in 2018. During the trailer launch, Sen was all praises for Kajol and said, “Kajol has an amazing sense of humour. She’s an amazing human being.” Helicopter Eela is all set to be released in theatres on September 8, 2018. Next articleAayush Sharma and Warina Hussain starrer Loveratri official trailer out!